The Center for International Education is pleased to announce the recipients of the 2019 International Faculty Development Grants, which support efforts by full-time faculty members to enhance campus internationalization. This year’s funds will jumpstart a range of efforts, including creation of an institutional partnership in the field of computer science, importation of a theatre production to the Edinburgh Fringe Theatre Festival, sharing a decade-long international research collaboration in the field of psychology with the Adelphi community, and a new Viking sagas iteration of the popular Literary Cities study abroad course. Find more detailed information about these grants and how to apply here. 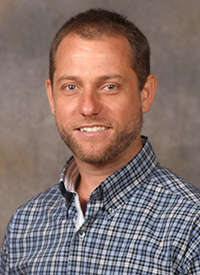 Kees Leune, assistant professor in the Department of Mathematics and Computer Science, will use grant funding to develop an international institutional partnership with Tilburg University, where he received his Ph.D., and Jheronimus Academy of Data Science (JADS) in the Netherlands. 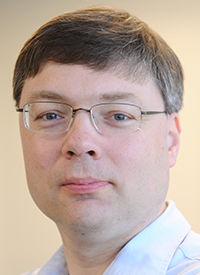 In the coming months, Professor Leune will visit colleagues at both universities and inquire about the possibility of future faculty and student exchanges and research collaborations in the areas of data science, cybersecurity, and scientific computing. He will also vet a future faculty-led study abroad course for computer science students that would include a project-based internships. In an effort to maximize the short time in-country, students would work on problem sets prior to their arrival and then present their work to the hosts while in-country. Upon their return to Garden City, students will submit a written deliverable and/or software-based product. The program will also include exploration of popular cultural sites along with major-related site visits. Professor Brian A. Rose of the Department of Theatre will use the International Faculty Development grant to assist with expenses related to his effort to import his successfully produced play, Living Newpaper, to the Edinburgh Fringe Theatre Festival—the largest theatre festival in the world. Living Newspaper tells the true story of the Federal Theatre Project and its creator, Hallie Flanagan Davis, during the Great Depression. Flanagan, the greatest heroine of American theatre history, stood alone against a racist, conservative congress that was determined to stop the free and progressive voice of the Living Newspaper Unit of the Federal Theatre Project. Rose plans to bring a cast of Adelphi alumnae and current students to perform in the summer of 2020. 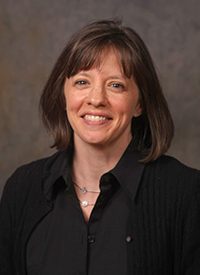 This summer, Professor Rose will use grant funding to attend the festival and research the complexities of the production importation process, including securing a performance venue, acquiring best practices for marketing the performance, finding affordable lodging for the cast and finalizing budget. 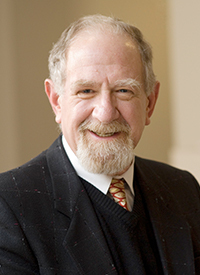 Professor Rose will also use grant funds to conduct research in the archives of the Federal Theatre Project in Washington, DC and to purchase elements needed for this and future international performances. 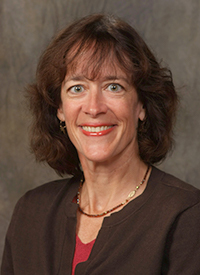 Recipient Katherine Fiori, associate professor in the Derner School of Psychology, will use the International Faculty Development grant to further her research collaboration with Dr. Oliver Huxhold, senior research scientist at the Deutches Zentrum fuer Altersfragen (DZA; German Centre of Gerontology) in Berlin. Drs. Fiori and Huxhold have been researching links between social relationships and health in older adults together for over a decade, and have co-authored several well-cited publications and countless presentations. Funding from this grant will enable the pair to continue their research face-to-face in Germany and at Adelphi University, with an ultimate goal of submitting a theoretical paper for publication by the end of the summer. 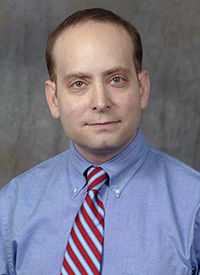 During Dr. Huxhold’s March visit to Adelphi University, he will present his research findings at a university-wide research colloquium, guest lecture in Dr. Fiori’s psychological research class, and speak with Dr. Fiori’s doctoral student workgroup about opportunities to work with DZA data and potentially visit the DZA. This summer, Dr. Fiori will travel to Berlin for a week to continue her work with Dr. Huxhold and present her research at the DZA. 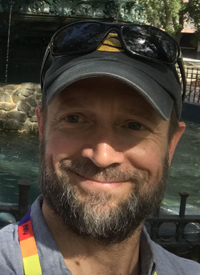 Lahney Preston-Matto, Professor of English, and Michael Matto, Associate Professor of English, received the International Faculty Development grant to scout a Viking sagas iteration of the popular Literary Cities course in Iceland, Norway and Denmark. Developed by Professor Preston-Matto in 2016, Literary Cities is a bi-yearly course in which students study the literature of a different city or cities during the first half of the spring semester and then travel to the city or cities over spring break. Professor Preston-Matto has been teaching classes on Vikings for the past two years in Garden City and Professor Matto is a specialist in the closely-allied Germanic literature of Anglo-Saxon England, making them an ideal pair teach this course. In addition to vetting program logistics and visiting sites that will likely end up on the course itinerary, including the Viking Ship Museum in Oslo with originals of Viking ships, the faculty will visit the American College of Norway, one of Adelphi’s international institutional partners, to further ongoing collaboration. 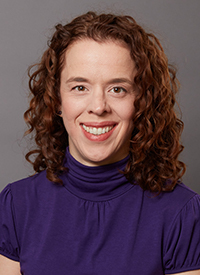 Katie Laatikainen, a professor in the Department of Political Science and director of The International Studies Program, together with a faculty member from the School of Business, will visit the University of Tampere in Finland to deepen the proposed international partnership agreement. This project stems from connections Professor Laatikainen forged last year as a visiting professor at the University of Tampere during her sabbatical. 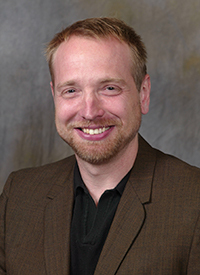 With this grant, Laatikainen plans to lay the groundwork for future faculty and student exchange through course mapping and discussions with higher administration. Adelphi was delighted to welcome a delegation from University of Tampere’s School of Management to Garden City during the month of October. 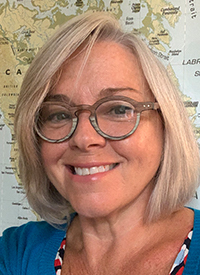 Professor Robert Linné and Clinical Associate Professor Mary Jean McCarthy from The Ruth S. Ammon School of Education will use grant funds to develop a future faculty-led study abroad course on place-based education, a pedagogy that emphasizes experiential learning outside the classroom. Linné and McCarthy plan to include local and international case studies in course, introducing nature education sites in Long Island and Tromso, Norway, a leader in environmental place-based education. Grant money will support a site visit to Tromso to meet local partners, conduct site visits to local schools and finalize logistics. 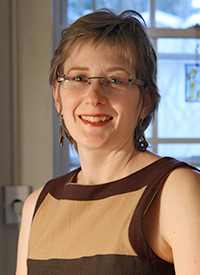 Nicole Rudolph, associate professor in the Department of Languages, Literatures and Culture, will use grant funding to further her research on the design and reception of sustainable urban public housing and bring these concepts to campus through a future course on global eco-housing. With support from the grant, Rudolph will conduct site visits to a number of the Eco-Quartier projects in France and meet with experts on global urban studies and eco-architecture. The course will highlight case studies not only in France but also in Canada and the UK, bringing a comparative approach to the topic of sustainability and urban development. 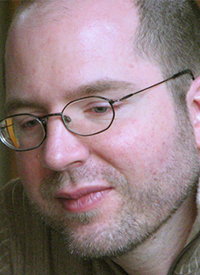 Assistant Professor John Drew in the Department of Communications has dedicated time to researching ways in which food organizations discursively negotiate Latin America’s legacies of Spanish colonialism and ongoing U.S. imperialism, particularly in traditionally extractive agricultural industries. Now, with this grant, he will explore Nicaragua and evaluate food as a lens to connect local social and environmental justice issues with international ones, such as climate change. His ultimate goal is to then provide new winter and summer session opportunities to students interested in globalization, digital media, marketing, food studies, social entrepreneurship and political ecology. The School of Social Work’s Chrisann Newransky, Assistant Professor, and Bradley Zodikoff, Associate Professor, will embark on a journey to Japan’s Kwansei Gakuin University (KGU) in Nishinomiya City where they will explore social welfare policy, macro social work, and human services with professors at KGU. Both Newransky and Zodikoff wish to build a long-term educational relationship with faculty and students at KGU with the intention of sending Adelphi students to study abroad there in the future as well as create a faculty-led program for Summer 2018 that centers on these same topics. Associate Professor and Director of the Environmental Studies program, Beth Christensen and Associate Professor Aaren Freeman from the Department of Biology not only received the grant but already embarked on their trip to Belize, Central America where they vetted potential snorkeling sites for future students to conduct independent projects concerning the abundance and distribution of marine organisms. They also assessed the equipment at local field stations that would aid in student projects and even explored various Mayan ruins. 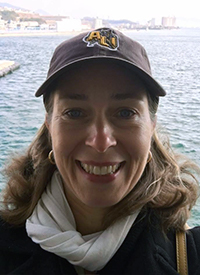 Both Christensen and Freeman will take Adelphi students on a faculty-led trip to a remote field station with the opportunity to conduct independent research projects. The class will also visit ancient Mayan ruins and learn how climate change impacted Mayan culture. Congratulations to all of the projects chosen to be funded and a great thank you to all professors who submitted applications. These proposals demonstrate how dedicated many of our Adelphi faculty are to a global education for our students and our community. We are very excited to hear about the emerging success of new and upcoming faculty-led programs and look forward to hearing more about each project as the professors return from their respective trips.